It's keeping the wings up front, right? Most PSR done! 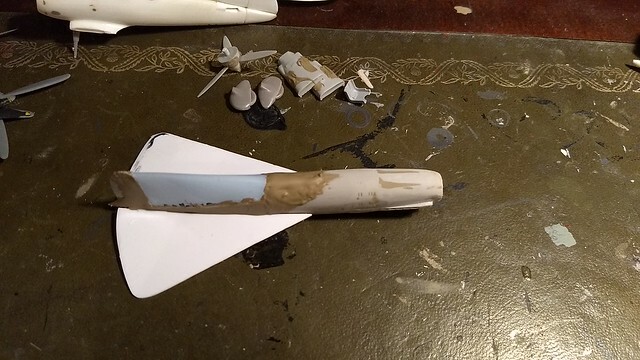 Too bad dust entered the cockpit and is now sticking to the inside of the canopy. 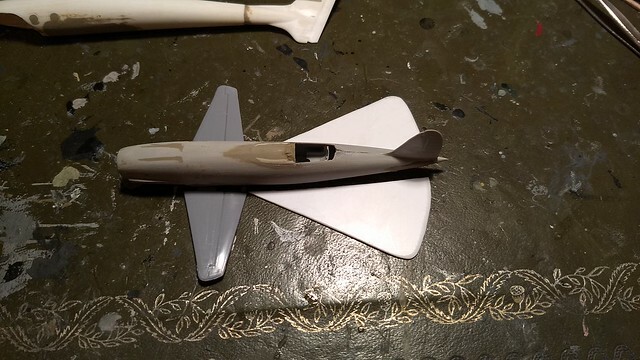 Think the airbrush will solve that..
ditto the Miles Libellulas and the Delanne designs. Wowee, that DOES look good, as Chris said. Wonderful with this canopy-inside-fin layout! Did that prop come from a helo main rotor!? @ Caveman the prop came from an Noratlas.. it is a tad too big. 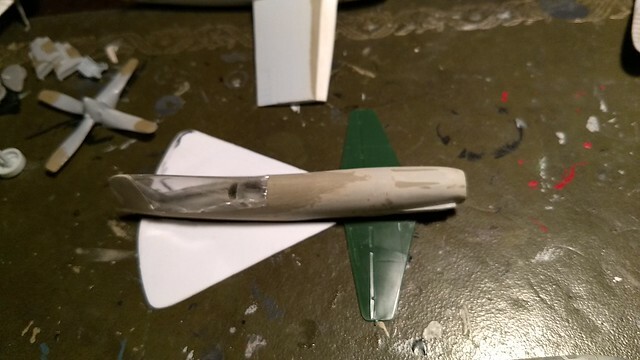 Probably have to settle for something smaller in diameter like a p-63, p-51 or Spitfire Mk9 prop..
the prop came from an Noratlas.. it is a tad too big. 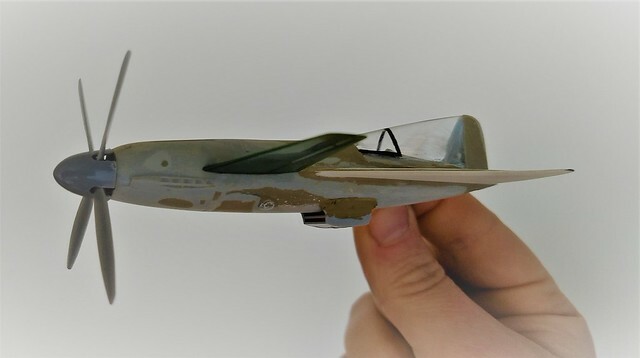 Probably have to settle for something smaller in diameter like a p-63, p-51 or Spitfire Mk9 prop..
Will you have the model like "in flight" (no problem) or with undercarriage (requiring long long legs)?